When it comes to building performance, whether it’s more speed or more muscle you’re after, it’s imperative to develop high levels of stability strength first. The path to high-powered performance is paved through full body stability strength. The Dynamic Neuromuscular Stabilization (DNS) techniques out of Prague understand and emphasize that fact. The moves and positions they teach respect the complex integration between your nervous system, muscles, and physical structure. Let’s take a standing one-arm dumbbell row as an example. Your right hand is holding the dumbbell and your left leg is forward. As you row the dumbbell with your right, the left leg and hip work to stabilize the movement. This stabilization requires a transfer of force through your core between the left hip and right shoulder. 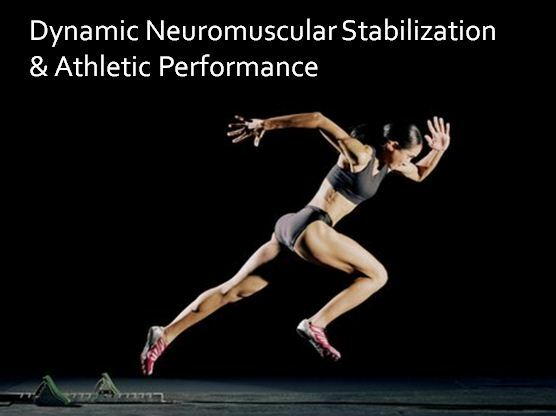 The contralateral neuromuscular control between your shoulder and its opposite hip is essential for power and performance, whether you’re throwing a hard punch or sprinting at top speed. Many traditional abdominal exercises don’t enhance this complex neuromuscular activation and control. That’s why so many experts don’t consider a typical floor crunch to be functional enough to carryover to sports performance, no matter if you’re a weightlifter or a MMA athlete. I recently learned a terrific DNS-based core exercise that develops stability strength between the shoulder and contralateral hip. Your left shoulder is designed to function effectively with the left hip so the following exercise is ideal for anyone who wants to develop his/her midsection. I call it a “contralateral core lift” since DNS doesn’t typically name their exercises. This core exercise is more challenging than it looks, so it probably isn’t ideal for people with low levels of strength. But if you’re looking for a new way to build athleticism through high-performance core training, give the exercise below a shot. Here are my recommended training parameters for the exercise. Duration: start with a 5-second hold and work up to 20 seconds. When to perform: I prefer to do this exercise at the beginning of your workouts because it’s challenging and requires high levels of strength. Furthermore, the enhanced contralateral stability strength you’ll achieve from this exercise at the beginning of your workouts will boost your performance in all the lifts that follow. Interesting. Quick question on the training parameters of 3-4 sets, 3-4 times/week. Is a lift on each side considered a set, e.g. 5 seconds on right side and then 5 seconds on left? Thanks. CW: A lift on each side is one set. That is cool. Is there any point in getting all of the straight leg off the ground–or is that not a proper goal? It looks like you leave the knee down, but I noticed that I can actually lift the whole leg for a second or two. CW: The straight leg (right leg in the video) elevates off the ground. Huge fan here. I’m keen to try this exercise. Any chance we could see that from another angle? CW: I chose this angle as the best option. Do your best to mimic it, and lift your body as a one unit and you’ll feel what I’m talking about.